The Gunki Pike Addict Net come under the beady eye of Angler’s Mail tackle editor Richard Howard. He’s the No.1 products inspector, checking out loads of quality kit every week. 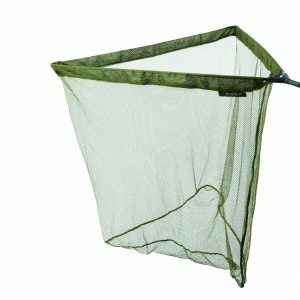 The Sonik S1 Landing Net comes under the beady eye of Angler’s Mail tackle editor Richard Howard. He’s the No.1 products inspector, checking out loads of quality kit every week. The Kodex Serenity 36 in. Landing Net comes under the beady eye of Angler’s Mail tackle editor Richard Howard. He’s the No.1 products inspector, checking out loads of quality kit every week. The MAD Certitude Landing Net comes under the beady eye of Angler’s Mail tackle editor Richard Howard. He’s the No.1 products inspector, checking out loads of quality kit every week.